GH Adds Soap Vet, Laura Wright's BF, Wes Ramsey to the Cast! 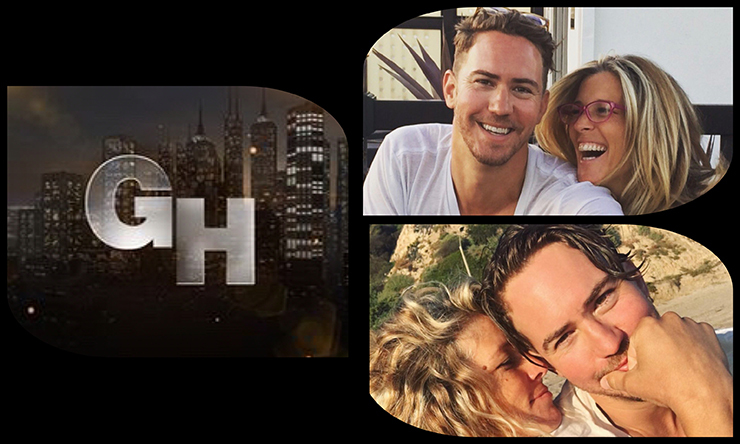 General Hospital Adds Soap Vet, Laura Wright’s BF, Wes Ramsey to the Cast! Wes Ramsey, soon to be Peter August on GH, with real-life GF, Laura Wright, who plays Carly Corinthos on the sudser. The actor is set to play a role that we don’t as yet know a whole lot about! November sweeps just got very interesting with the announcement that soap vet Wes Ramsey (ex-Sam, GL; ex-Owen, Days) has been cast in the role of Peter August, according to our good friends at TV Line. This news is particularly intriguing, and timely, perhaps, what with the recent return of Jason (Steve Burton) and his red-hot storyline, not to mention other recent casting announcements. Related: This beloved GH face is set to return but in a new role. These characters on the Port Charles canvas certainly pique our and fans’ interest as to what will happen next. Ramsey will make his debut on November 14, according to the lovely Michael Fairman. Don’t Miss: See who else is coming back to Port Charles–hint: she was presumed dead! We here at Soap Cities wonder if he’ll be sharing any scenes with real-life love Wright, don’t you, dear readers? The duo originally met years ago on the set of GL, where Wright played Cassie. Wright has been very upfront and candid about her path of self-discovery after her divorce from husband John, and announced that she and Ramsey were dating at the end of May. Who Could Peter August Be? Your guess is as good as ours as to who this new character is. There are many characters on the GH canvas and, consequently, many storylines that he could fit into. But do all roads lead to the new Jason storyline for this newbie? We can’t wait to tune in to find out! Before You Go: See when Steve Burton said he’ll be sticking around until, at a minimum. Previous ArticleThe Bold and the Beautiful Spoilers, Friday, October 27th: Bill Wants Power-Sharing?!? Next Article Days of Our Lives Spoilers, Monday, October 30th: Eve Drops a Bombshell!